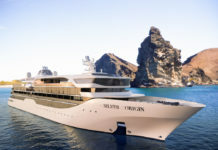 Celebrity chef Atul Kochhar will be hosting a series of cookery demonstrations and tasting sessions for visitors to the Telegraph Cruise Show Liverpool. The twice Michelin starred chef will be showing guests how to create one of his signature dishes: the Kerala Fish Curry (Meen Allepy). 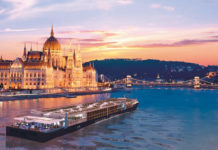 This will give a guests a chance to enjoy a preview of what luxury dining experiences are available on board. 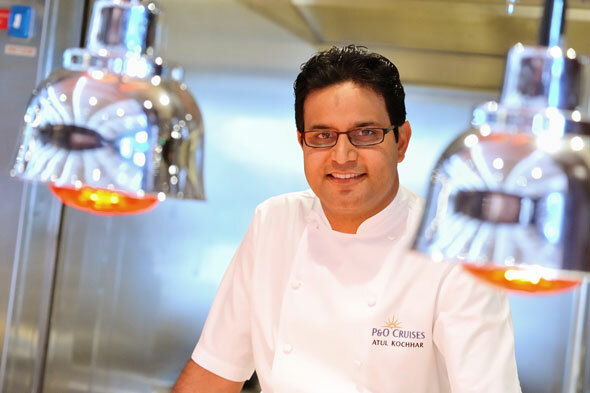 Kochhar is one of the chefs who make up P&O Cruises ‘Food Heroes’ team along with James Martin, Marco Pierre White, Eric Lanlard and Olly Smith. He has created bespoke menus for Azura, Ventura and Arcadia which include dishes such as ‘Lagusta Xec Xec’, Goan style pan roasted lobster in coconut sauce with lobster kedgeree; ‘Jal Murgi Pepper Fry’, a trio of duck – stir fried, curry and duch pulao; and ‘Masaledar Chaklet’, warm five-spiced chocolate pudding with tarragon and blood orange sorbet. The Telegraph Cruise Show Liverpool will take place on the 11 October 2014 at the Echo Arena. For more information or to buy tickets to the show visit the website.